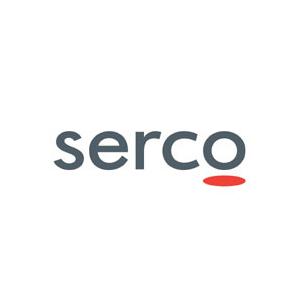 Serco Inc., a provider of professional, technology, and management services, was awarded a task order under the Sea Enterprise II contract vehicle to support the U.S. Navy Space and Naval Warfare Systems Command (SPAWAR). The company will provide installation support on the USS Ronald Reagan with an option to provide installation support on the USS Carl Vinson. This two-and-a-half-year contract is valued at $17.5 million, if the option is exercised. Serco will deliver Command, Control, Communications, Computers, Intelligence, Surveillance, Reconnaissance (C4ISR) solutions to support the installation of the Consolidated Afloat Networks and Enterprise Services (CANES), an initiative by the U.S. Navy to combine numerous shipboard networks into a single network. "We have a great team in San Diego ready to support SPAWAR with high quality service on this installation," said Dan Allen, Chairman and Chief Executive Officer at Serco Inc. "We will put to use our extensive knowledge of C4ISR solutions to support the warfighters aboard the USS Ronald Reagan and USS Carl Vinson." Under the Sea Enterprise II contract vehicle and its predecessor contracts, Serco has supported SPAWAR for over 15 years and has completed over 1200 integrated installations on ships and shore facilities worldwide. The Company also provides C4ISR solutions to other branches of the Department of Defense, including the U.S. Air Force and U.S. Army.